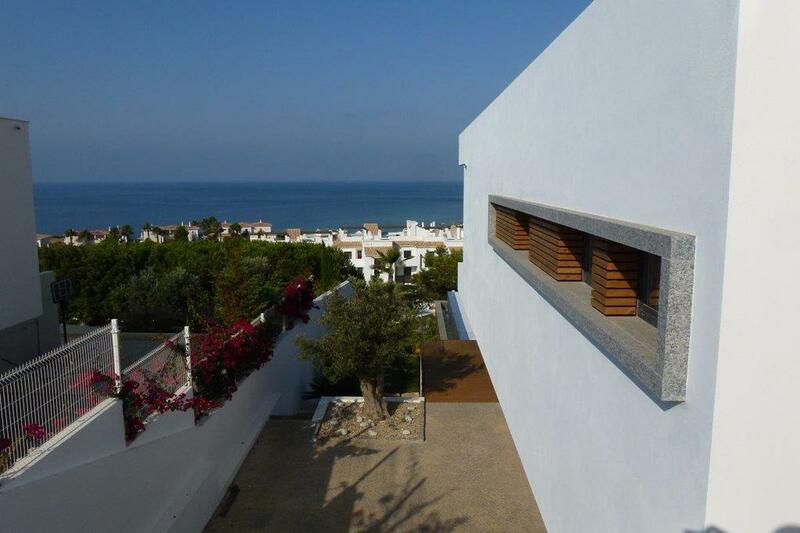 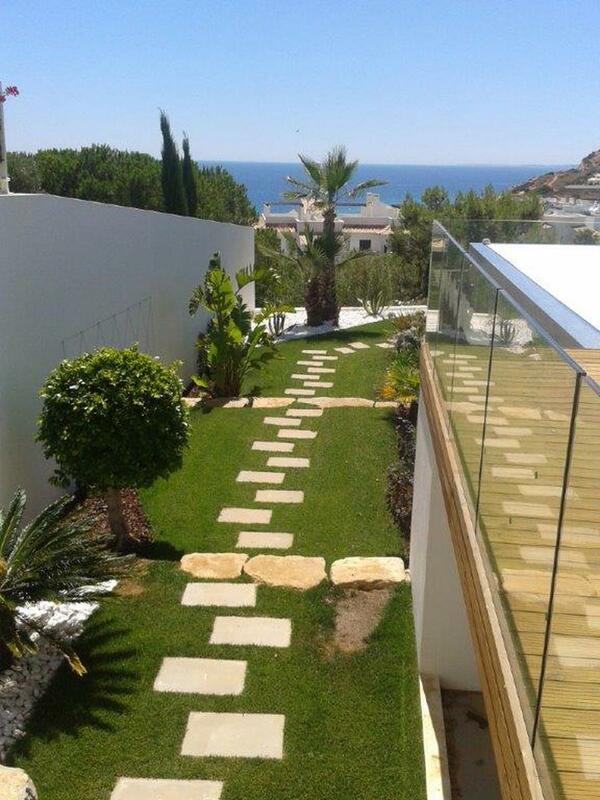 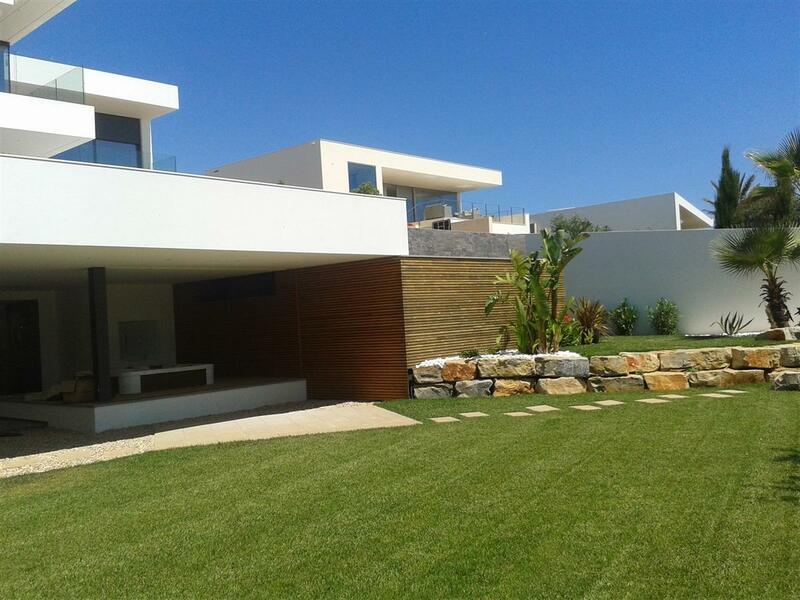 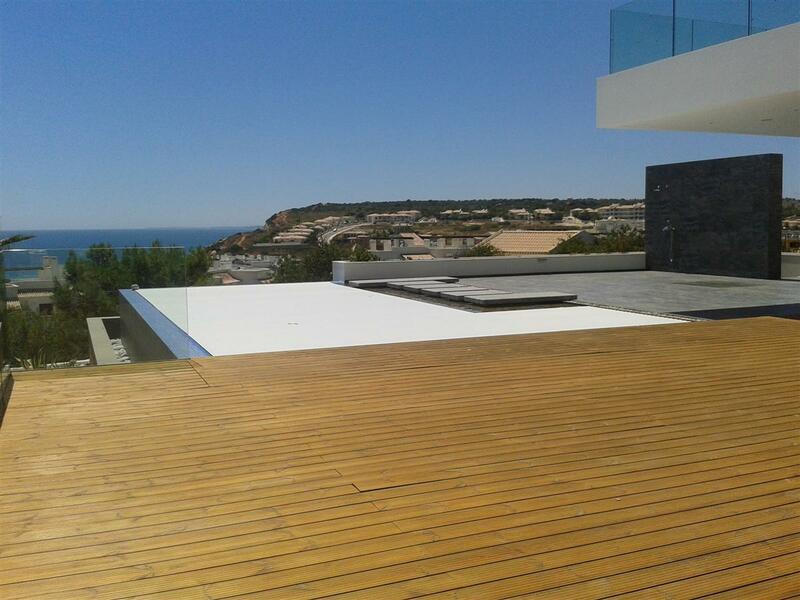 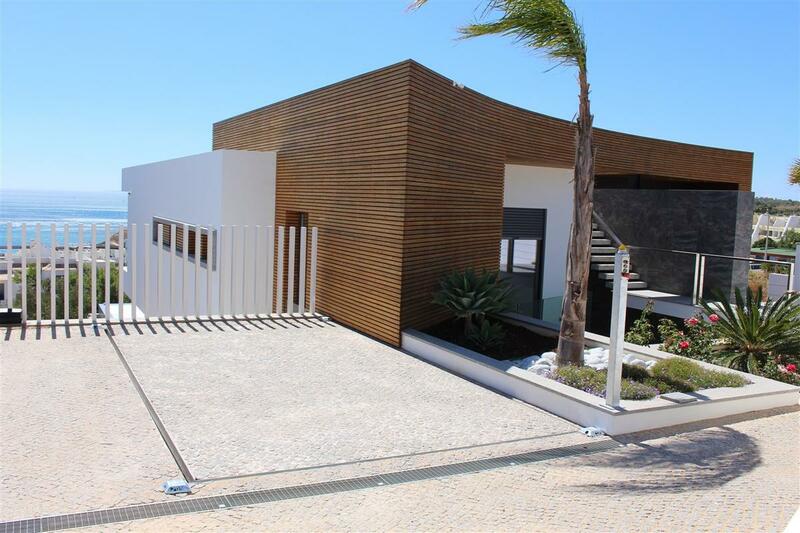 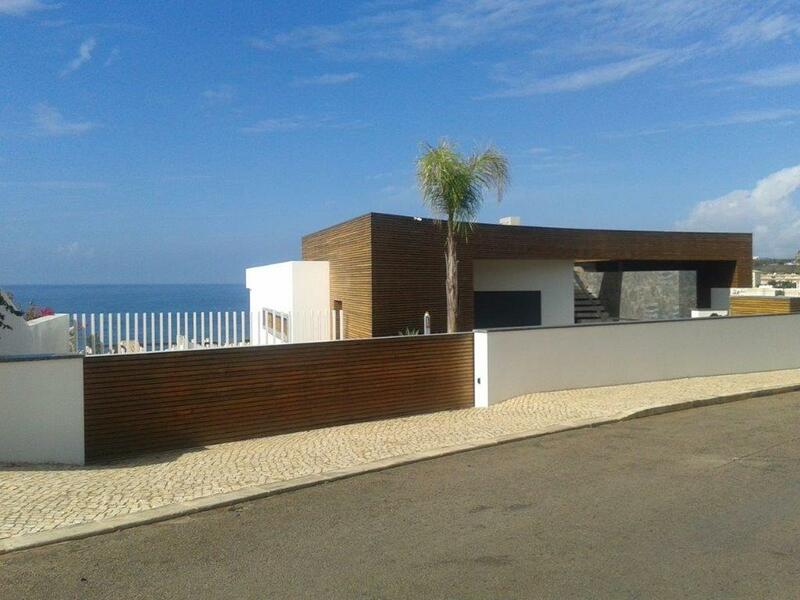 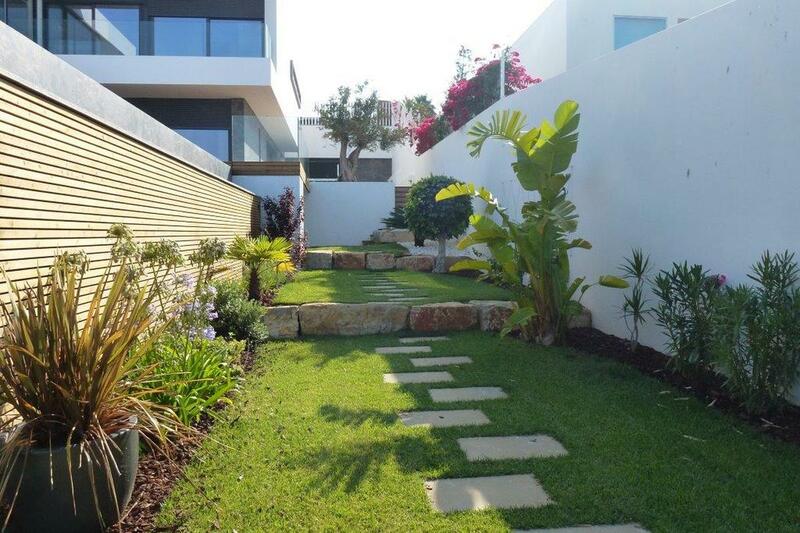 Situated in a quiet and privileged location of the Porto-de-Mós in Lagos, Western Algarve in Portugal, this newly built contemporary style housing, with wonderful views over the sea, is a dream residence for those who enjoy the modern lifestyle, elegant and luxury. 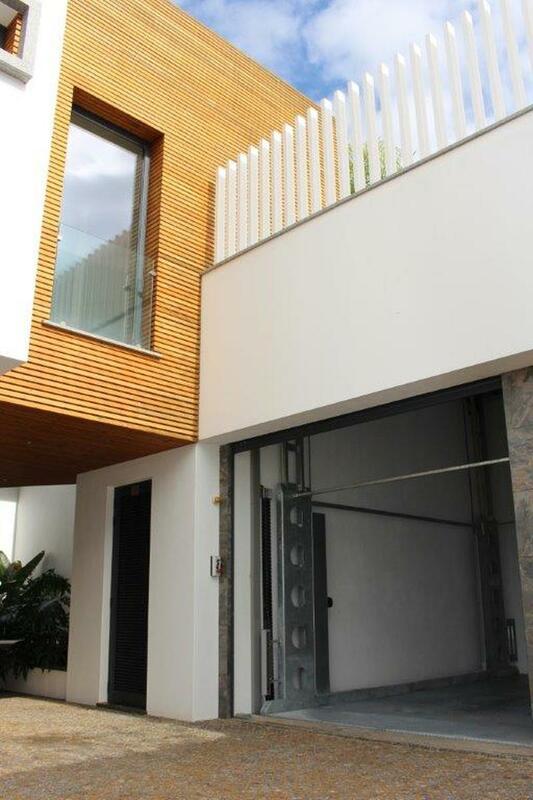 The project was conceived by two local architects, Carlo Encarnação and Carla Duarte, for one of the most respected construction and well established companies in Lagos. 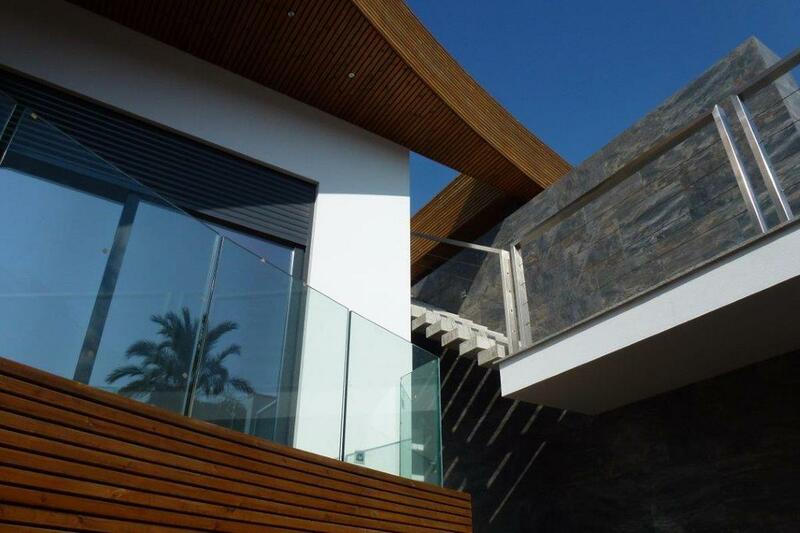 Wood and glass have been widely used in order to integrate the building in a lush environment. 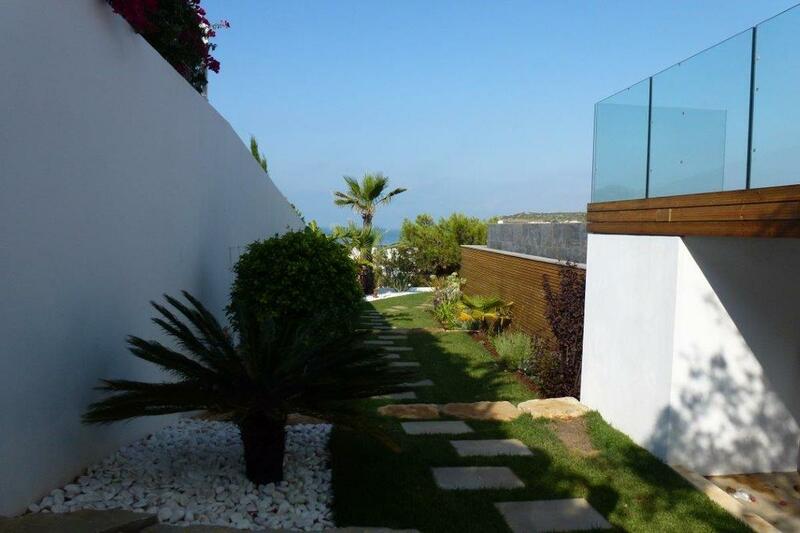 Spacious and glazed areas allow make the most of natural light and superb views. 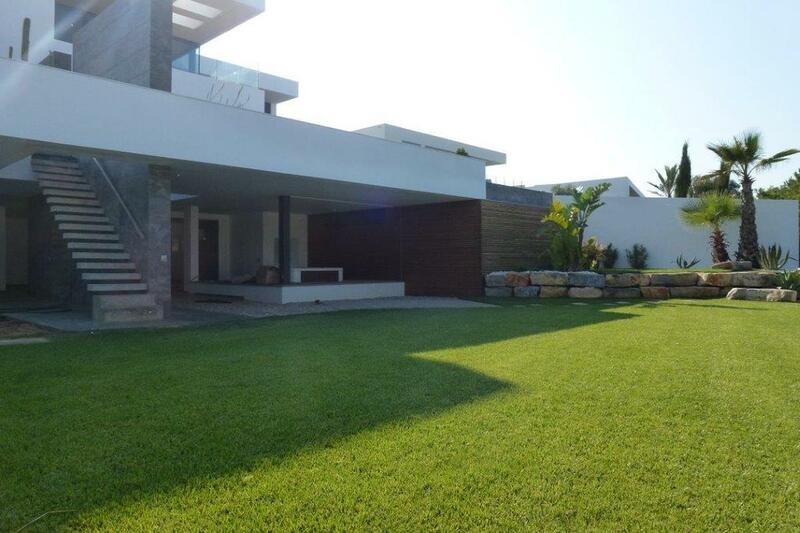 The property consists of living room and dining room with fireplace, en suite bedrooms, fully equipped kitchen and laundry, cinema, games room, gym with spa and sauna, large terraces, barbecue, heated pool, double garage and beautiful and spacious garden. 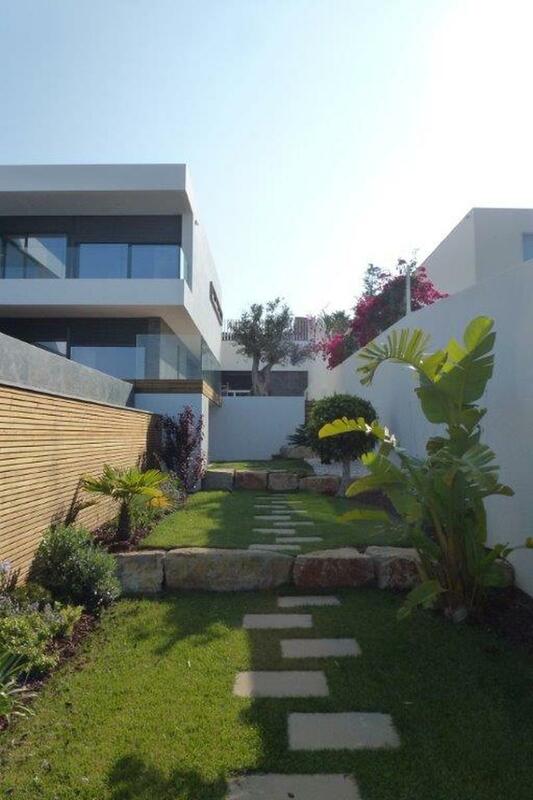 The building is located in a plot with a steep slope, gaining more than ten meters from the access road to the western property boundary. 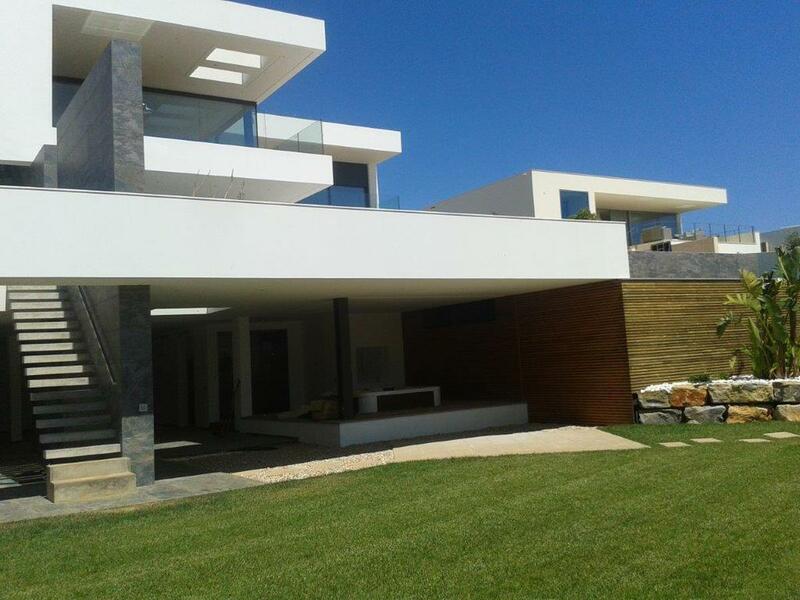 Therefore, the house develops on three floors, all accessible by elevator, where the entrance floor is located slightly below the elevation of the main road. 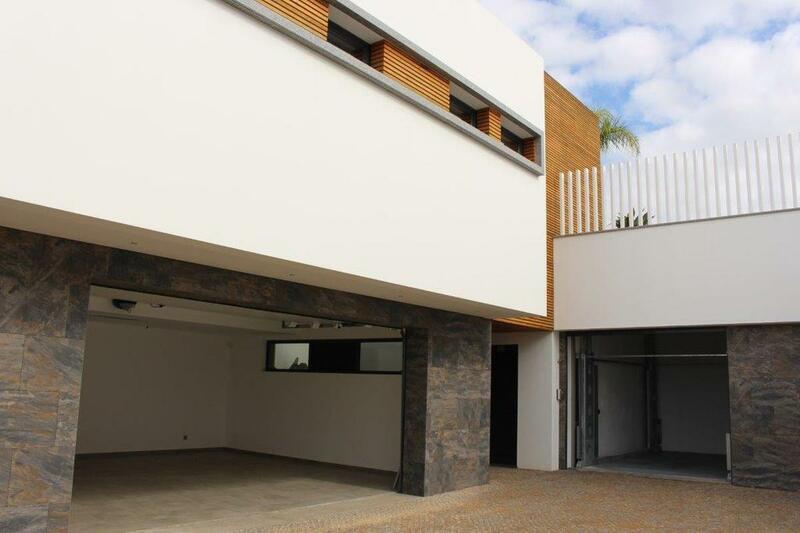 The 2 car garage is located on the basement. 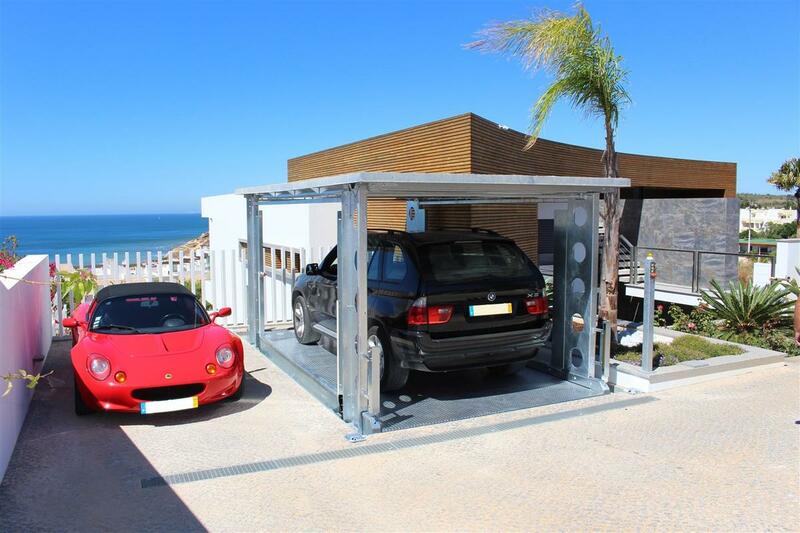 So, to avoid a large ramp slope, with movement and manoeuvre inherent difficulties, an exterior elevator IP1-CM FF42 for cars was installed between the access road and the garage located in the basement. 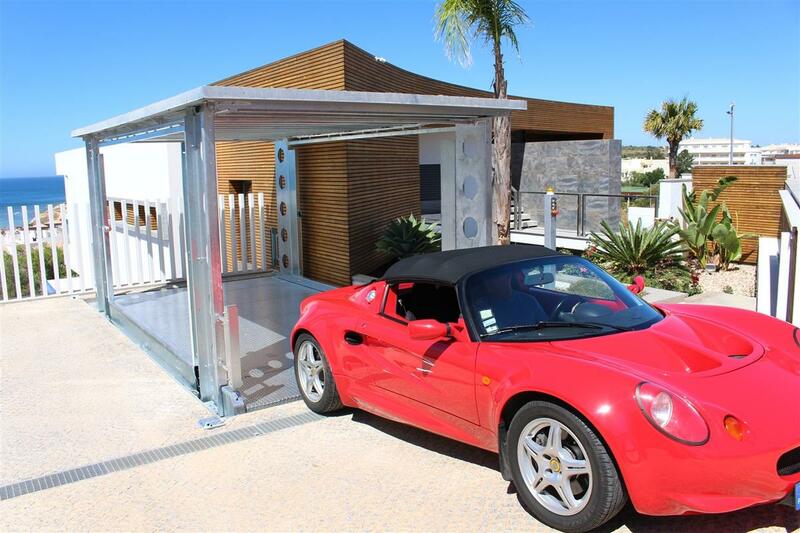 A lift with huge versatility that allows transportation between floors and a covered parking on the car lift.